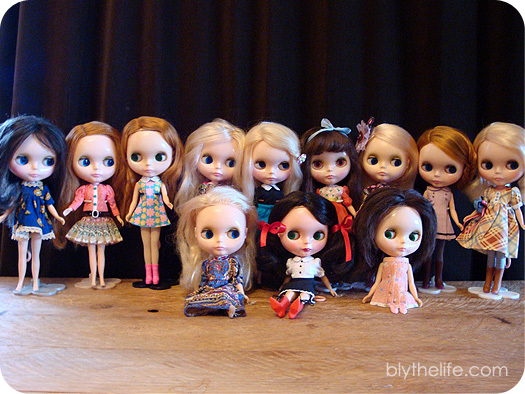 Kenner Blythe dolls were only produced for one year, 1972. 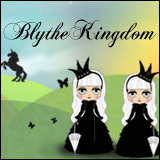 There were 12 original outfits produced for Blythe. For Blythe’s accessories, Kenner produced 4 wigs and 4 pairs of glasses, and an orange carry case. Kenner Blythe has holes on the back of her ears that the original glasses were able to sit into (so they stay on!). Four hair colours were made with different hair styles (chunky bangs, wispy bangs, side part, centre part) – blondes only came with a side part. The Kenner Blythe dolls featured in the advertisements were prototypes and not the dolls sold. Original retail price for Kenner Blythe was less than $6 USD. With inflation, that is about $35 USD in 2016. For comparison, the average minimum hourly wage was ~$1.60 USD in 1972 vs. $8.60 USD in 2012. Kenner Blythe’s hair came in a braid to keep it together in the box. Prior to the release of This is Blythe by Gina Garan and the Neo releases by Takara, Kenner Blythe dolls were sold on eBay for ~$30 USD. 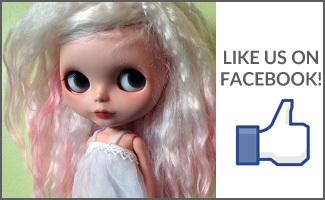 In the original television commercial, the colours of Blythe’s eyes were referred to as: bouncy brown [orange], green eyes and groovy, purple pretty as you please [pink], and beautiful blue. Kenners are pretty amazing as they have survived through years of being unloved – hidden away in attics and buried in gardens. They’ve survived a lot! And many of them haven’t made it through the years unscathed, what with the melt marks, cracks in the bodies, and being chewed on by children and animals. 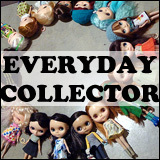 What’s a fun fact that you know about Kenner Blythe dolls? Share below in the comments!